These innovative, self-adhesive eye pads quickly provide the delicate eye area with precious peptides and phyto-extracts in a targeted fashion. Thanks to sophisticated Hydrogel Technology, they are pleasantly cooling and support the skin’s natural drainage effect. This reduces swelling and bolsters the skin to combat wrinkles. For a wonderfully refreshed and radiant appearance in mere minutes. As needed - whenever quick effects are desired or tired eyes require immediate freshness. 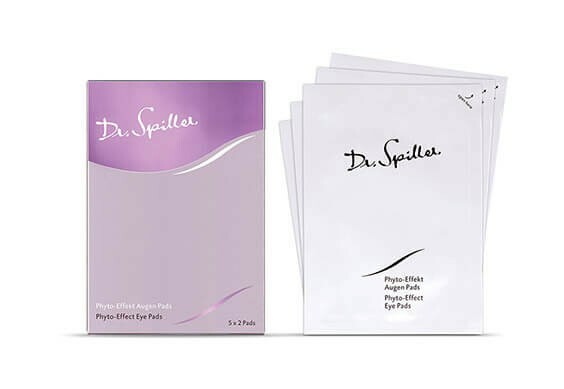 Peel PhytoEffect Eye Pads from the carrier foil, place on cleansed eye area and gently press onto the skin. Wait 15 to 20 minutes before removing. Avoid direct eye contact. Phyto-Effect Eye Pads are single-use and for external application only!